Made a couple of quick graduation cards using die cuts, patterned paper, and large-format cards. I was really excited to use the Moda Scrap 6x6 Fly and Scrap papers that came with the Simon Says Stamp May kit, particularly this one with the village buildings and colorful balloons. In order to use as much of the scene as possible, I decided to use a 5x7 card. That size also allowed me to position the die cuts the way I wanted. 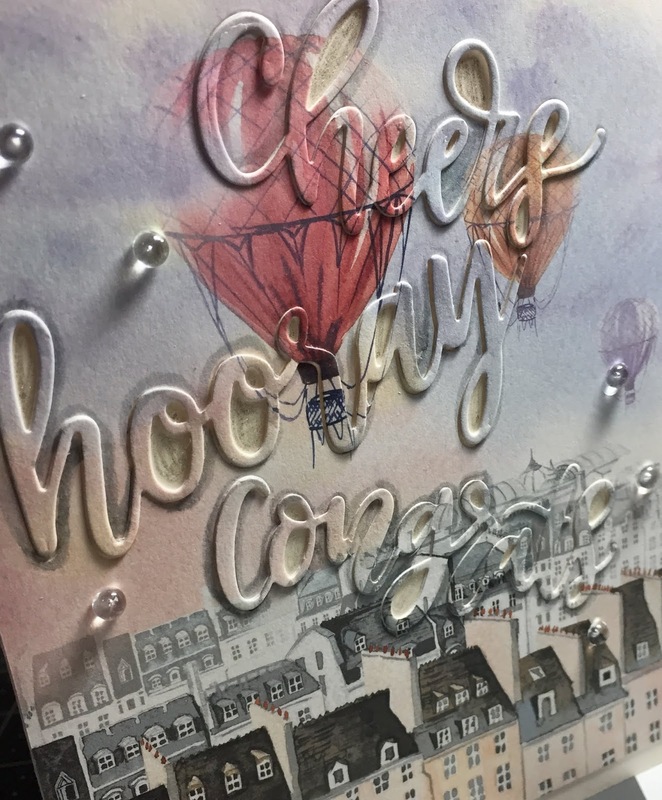 The die cut sentiments are from My Favorite Things. After cutting them from the printed paper, I cut another layer of white and glued them together with my glue pen. After I had them fully adhered, I was a little disappointed that they didn't have enough depth. Too late to peel them off and add another layer! Instead, I traced the letters using a Zig Clean Color Real Brush marker in Cool Gray. 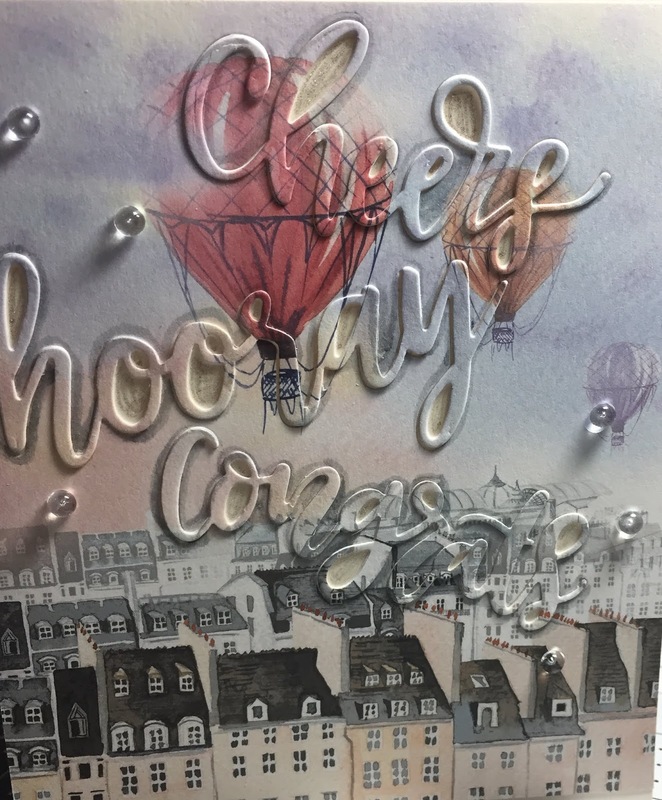 Not completely thrilled with the result, so the next card I made got three layers instead of two on the sentiments. 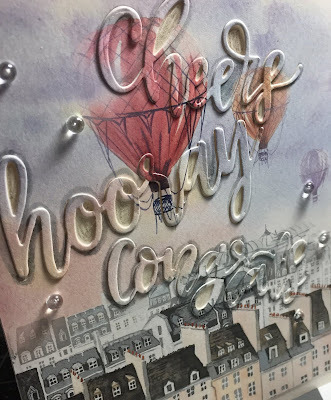 For my second card I used the other parachute-themed paper in the kit, added three rather than two layers on the die cut sentiments, and added a border using the cover paper (which shows a sample of each sheet in the package) to the top and bottom. 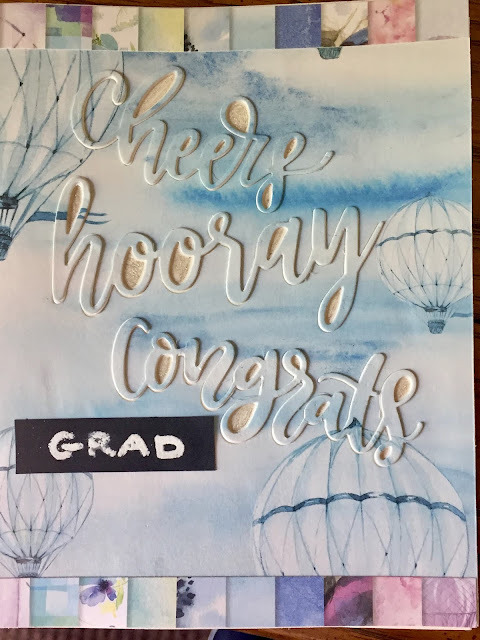 Finally, I added the word "Grad" in freehand letters using my Versamark Watermark pen and white embossing powder.